Research – Chanel Meyers, Ph.D.
As a social psychologist interested in race and context, my research focuses on how context influences intergroup relations and social identity. The contexts in which we are confronted with issues of race vary from neighborhoods to online forums; I am interested in how features of these various contexts, such as their diversity or norms, may impact intergroup relations and how individuals experience their social identities. In this line of research, I am interested in how racial diversity impacts intergroup relations. For example, how do intergroup relations function in a racially diverse vs. racially homogenous context. How do racially diverse contexts influence race-related strategies? Past research has shown that majority members avoid talking about race in attempts to appear non-prejudiced and maintain egalitarianism. By contrast, in a racially diverse context, like Hawaii, different strategies are used to negotiate race relations, and instead race is used without concerns about appearing prejudiced. 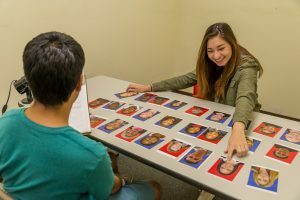 Along with examining the intergroup consequences of varied contexts, I am also interested in examining how context shapes social identity for those with multiple identities. 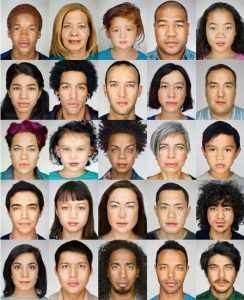 One component of the increasing racial diversity in the U.S. population is an increasing multiracial population. In this second line of research, I am interested in understanding individuals who hold multiple racial identities and how their experiences differ across various contexts. 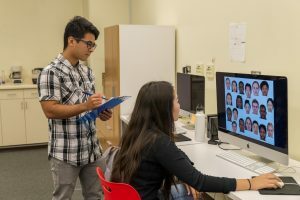 How do identity questionnaires impact Multiracial individuals’ well-being? One context where racial identity may be particularly salient is when identifying yourself on a demographic questionnaire. I am currently examining how racial questionnaires can impact multiracial students in a University context. For example, when Universities ask for demographic information from students, do these types of questionnaires influence their sense of belonging to the University? Communication and interactions with others is increasingly occurring online in Western societies, and thus my final line of research examines how intergroup attitudes operate in online contexts. How does group identity impact perceptions of prejudice online? I am currently conducting a series of studies that examine whether individuals’ perceptions of and reactions to racist content is influenced by exposure to individuals who confront prejudice. Understanding the conditions under which majority member allies can provide support for minority individuals who are targets of discrimination will be critical in understanding how to best mitigate the psychological consequences of experiencing such forms of prejudice online.